A 23-year-old has been ordered to carry out 100 hours’ unpaid work at Selkirk Sheriff Court for threatening another man and demanding money from him. 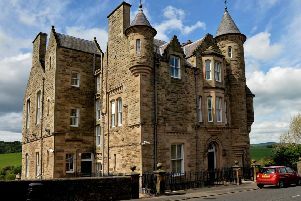 Luke Marley, whose address was given as care of Melbourne Place in Newtown, pleaded guilty to a charge of behaving in a threatening or abusive manner at a house in Primrose Bank, Galashiels, on February 27 and 28, and also at the Borders General Hospital in Melrose. His community payback order was imposed as an alternative to custody, he was told.